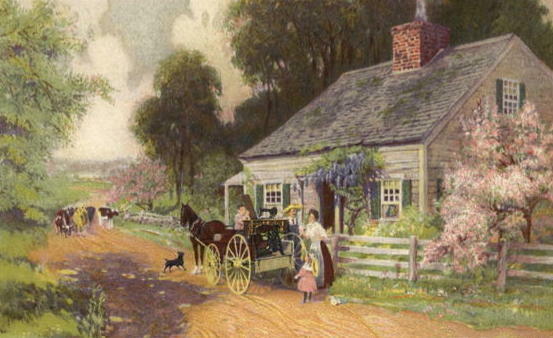 For some reason, I am reminded of Ma’s sewing machine in “These Happy Golden Years” (Laura Ingalls Wilder). Ma is amazed at the work and time this machine saves. 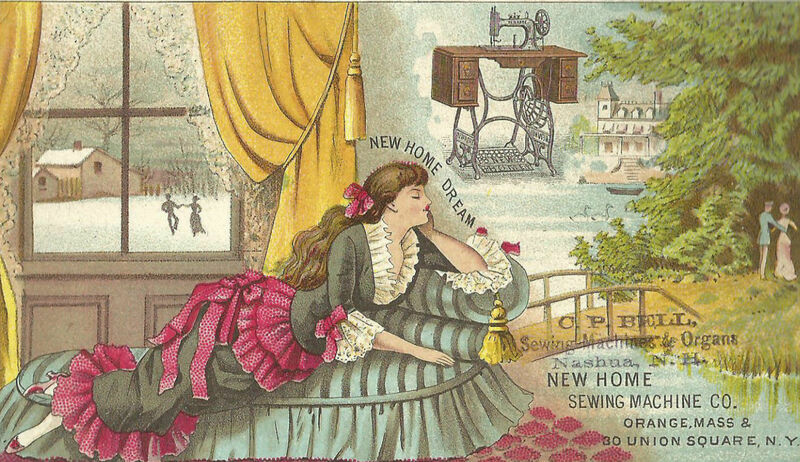 These machines must have been quite heavy, but oh how beautiful they are, even in illustrations. 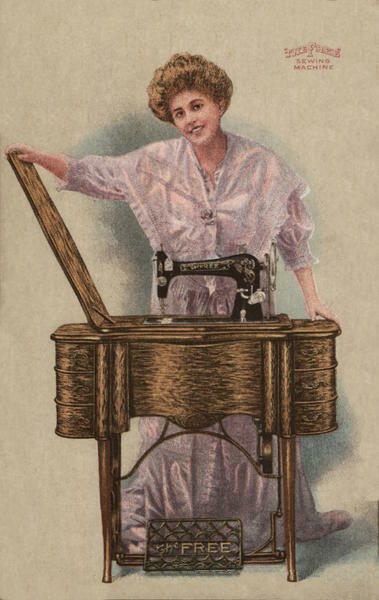 I learned to sew on my grandmother’s Singer treadle machine from the 19th century when I was about 12 years old. 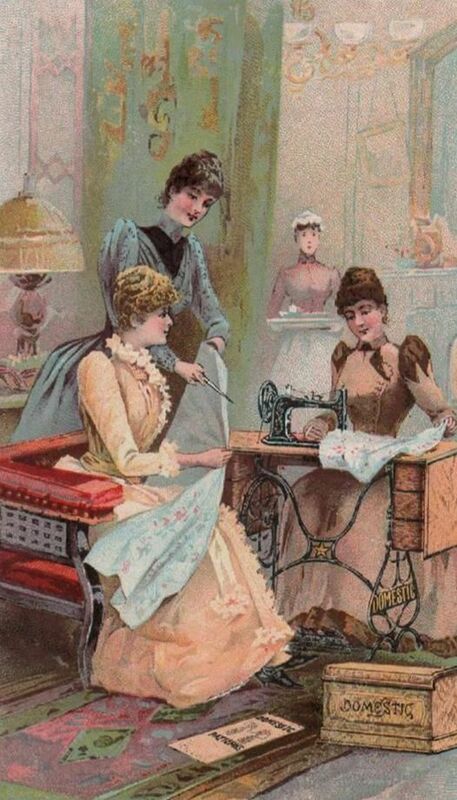 In 7th grade we had a class in sewing as a regular school subject, but there we used White machines, which were a little different. 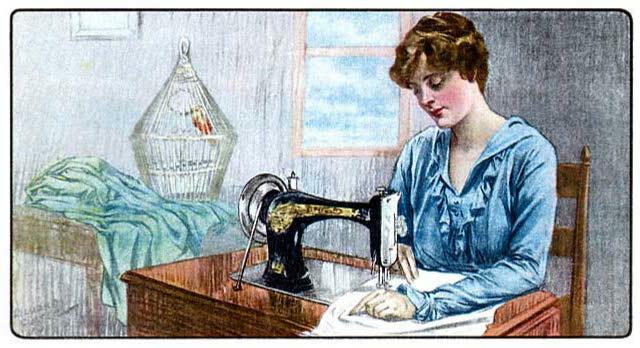 My mother had a hand powered machine, but I could never do very well in sewing by one hand.